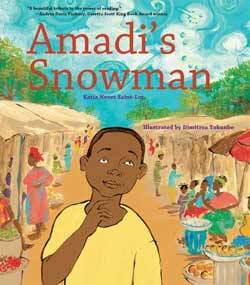 A wonderful story about how a book can open up the world to readers, Amadi’s Snowman also conveys, through both the narrative and the vibrant illustrations, the awakening of a young person’s mind to the potential that comes from learning to read. An imaginative introduction to Global Warming for young children. Two snow babies, Yuta and Yuma, notice that the sculptures at the Ice Festival seem ‘sad and droopy’ in the bright sun before being called by the Northern Lights to a meeting of snow people. On the way, they rescue a family of rabbits buried under an avalanche and meet hungry polar bears and caribou… At the meeting, everyone agrees that they need to ‘find a way to work together’ to ‘save this beautiful world’. The imaginary snow babies are used to good effect in capturing young children’s imaginations and prevent the sombre nature of the message from weighing the story down. Indeed, the sweet illustrations in watercolour and Japanese paper collage strike just the right tone; and whilst adults sharing the book with young children might feel oppressed by the sobering realities behind the story, the children themselves will be able to take away the importance of global dialogue and subsequent action. An original presentation of the evaporation process, narrated from the perspective of a snowman who melts, evaporates, becomes a cloud then, as the temperature drops, turns into snow again and falls to earth to return to his snowman state at the hands of the same boy who had made him in the first place. 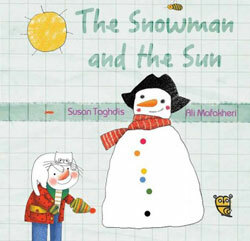 The snowman’s chattiness is beautifully complemented by the illustrations which suggest a school exercise book with their gridded background, but whose content spins off into a series of fun mini-narratives: children can follow the antics of an ice-cream-eating cat, a bee and a family of goldfish, as well as the boy – and they all interact with the snownman in his different guises. Not a detail is superfluous and children will absorb the science while revelling in its imaginative presentation. 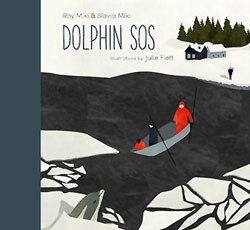 Based on the dramatic true story of how a coastal community in Canada’s Newfoundland came together to rescue dolphins trapped for days in pack ice, despite being told not to do so by local government officials. 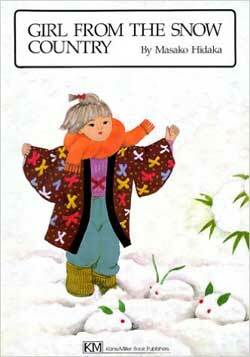 Beautifully illustrated, capturing the cold, snowy landscape and the warmth of the people who inhabit it. 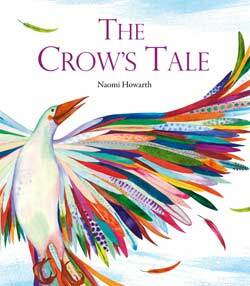 After reading this story, children will maybe look at crows differently, and certainly they will have something to ponder. Do take a look at Playing by the Book’s review and be inspired in turn by their artwork inspired by the book. 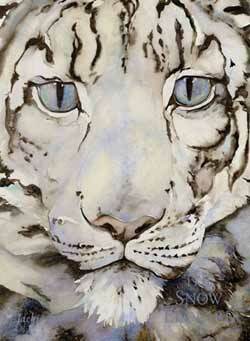 Beautifully written and illustrated – read a full review here. 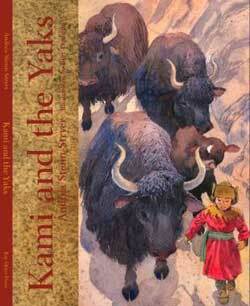 When a Sherpa family discovers their yaks have wandered off, young Kami heads out into the mountains to find them in an independent bid to save his family’s livelihod as guides to mountaineers. Because Kami is deaf, he can’t call the animals but he uses all his heightened observation skills to locate the animals and persuade them home. 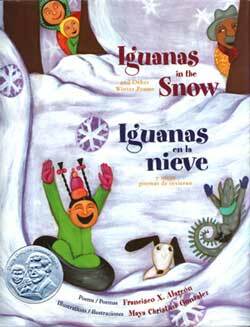 Just the incongruous image thrown up by the title should be enough to attract young readers to this joyous book of seasonal poetry in both English and Spanish. 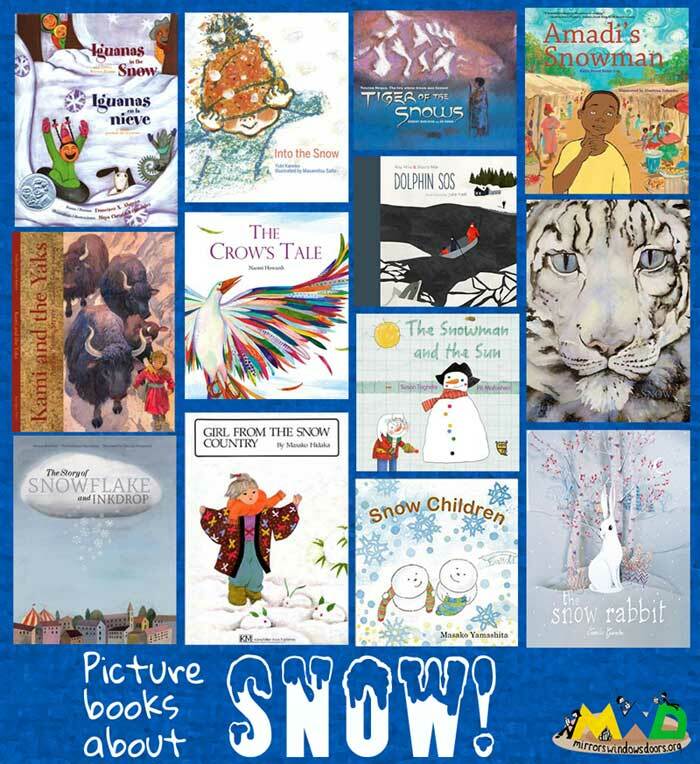 That title poem, about seeing snow for the first time, does not disappoint – and the equally exuberant illustrations provide snow by the shovel-load… It’s worth seeking out the other three books for spring, summer and autumn/fall too. 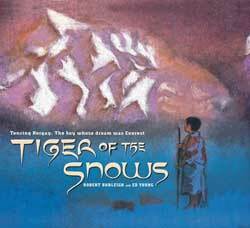 One of my favourite snowy books – the inspiring story of Tenzing Norgay the Sherpa who, along with Edmund Hillary, was the first to reach the summit of Everest. Gorgeously illustrated in pastel and poetically weaving in Norgay’s relationship with the mountain landscape of his homelandand, this is a feast for the eyes and a treat to read aloud. And then there are these four recent books that I haven’t seen yet… They all look wonderful and have been garnering good reviews – and they are all published by Enchanted Lion Books, who bring an international array of books to the US, and who seem to have made snow a major theme of the last few months! 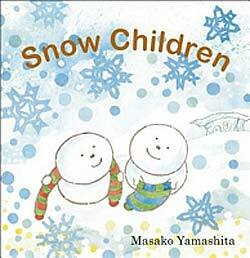 Into the Snow written by Yuki Kaneko and illustrated by Masamitsu Saito (2016) – ‘Joyous’ is the word that sprang to my mind and ‘joy’ seems to be the word used to describe it in all the reviews I’ve read. I love the cover and the spreads I’ve seen – see for yourself in Michelle Sterling’s lovely review. The Snow Rabbit by Camille Garoche (a.k.a Princesse Camcam) (2015) – again, this sounds a special book – both for the artwork of paper-cutout dioramas and the wordless storyline: a little girl makes a snow rabbit in the garden but when she tries to bring it into the house for her wheelchair-bound sister, it starts to melt so the sisters head outside with it into an enchanted snowy landscape… Garoche is also the creator of another snowy, wordless book Fox’s Garden (2014). And finally, another book that sounds intriguing and a little bit different: The Story of the Snowflake and the Inkdrop (2015) by Pierdomenico Baccalario, Alessandro Gatti and Simona Mulazzani. You can see some of the artwork and the effect of the delicate cut-out snowflake pages in this review of the original Italian edition. I may well add other snowy tales here – as well as my own comments about the Enchanted Lions books mentioned, as I gradually come across them in person. 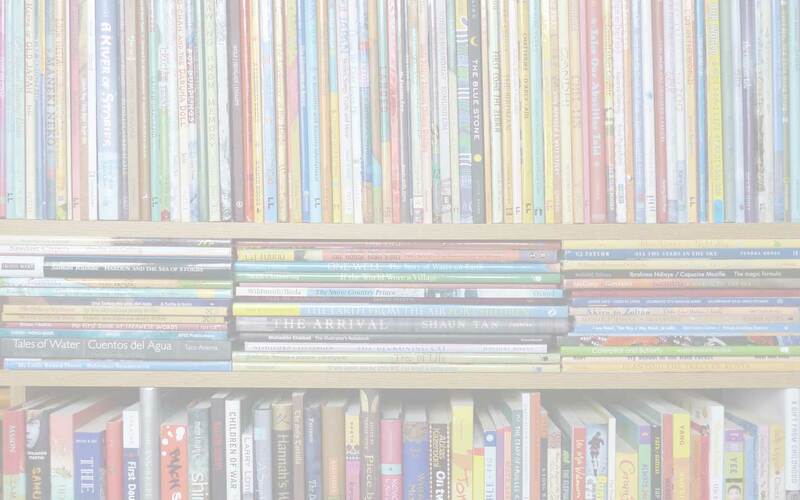 In the meantime, do add your favourites to the list – and here’s another (mostly bilingual) reading list that has some more books I’d like to track down, from Colorín Colorado. Alessandro Gatti, Ali Mafakheri, Amadi's Snowman, Amanda Mayer Stinchecum, Andrea Stenn Stryer, Atheneum Books for Young Readers, Bay Otter Press, Bert Dodson, Camille Garoche, children's books about snow, children's books featuring a deaf character, Dimitrea Tokunbo, disability in children's books, Dolphin SOS, Ed Young, Enchanted Lion Books, Frances Lincoln, Francisco X. Alarcon, Girl from the Snow Country, Groundwood Books, House of Anansi Press, Iguanas in the Snow, Into the Snow, Jackie Morris, Julie Flett, Kami and the Yaks, Kane Miller, Katia Novet Saint-Lot, Lee & Low (US), Masako Hidaka, Masako Yamashita, Masamitsu Saito, Maya Christina Gonzales, MWD article, Naomi Howarth, Pierdomenico Baccalario, Princesse Camcam, Richard Cannings, Robert Burleigh, Roy Miki, Simona Mulazzani, Slavia Miki, Snow Children, Susan Taghdis, The Crow's Tale, The Snow Leopard, The Snow Rabbit, The Snowman and the Sun, The Story of the Snowflake and the Inkdrop, Tiger of the Snows, Tilbury House, Tiny Owl Publishing, Tradewind Books, Yuki Kaneko. Bookmark.